The patent pending Evolution Shed Magic De-Shedding Tool for Dogs is the perfect grooming tool to greatly reduce shedding. 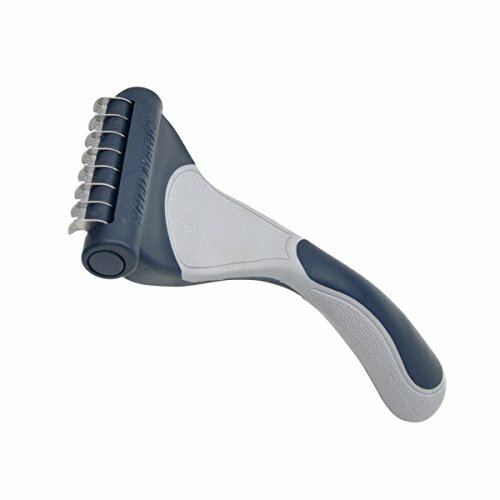 The ergonomic, non-slip handle allows for maximum control while the stainless steel blades glide through the hair without pulling. Brushing your dog with the Evolution Shed Magic improves the coat and promotes a healthy dog and home. If you have any questions about this product by Evolution, contact us by completing and submitting the form below. If you are looking for a specif part number, please include it with your message.